La Union has been known for it's waves and beaches perfect for surfing. 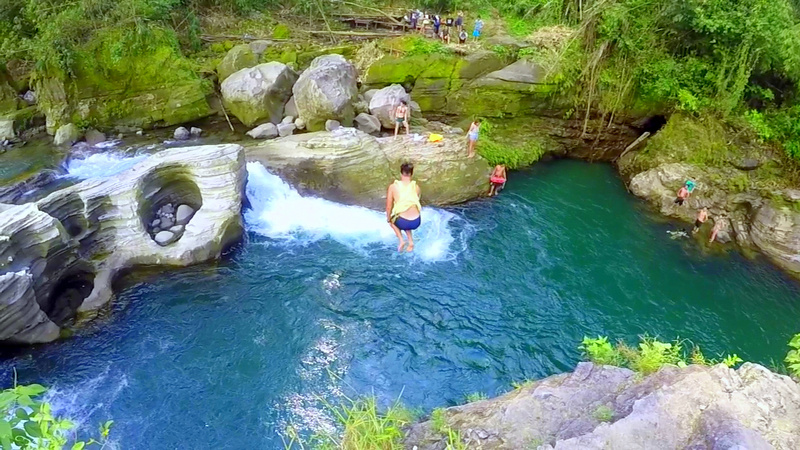 But another attraction is currently making waves to adrenaline-junkies: trekking and cliff diving in Tangadan Falls, San Gabriel La Union. 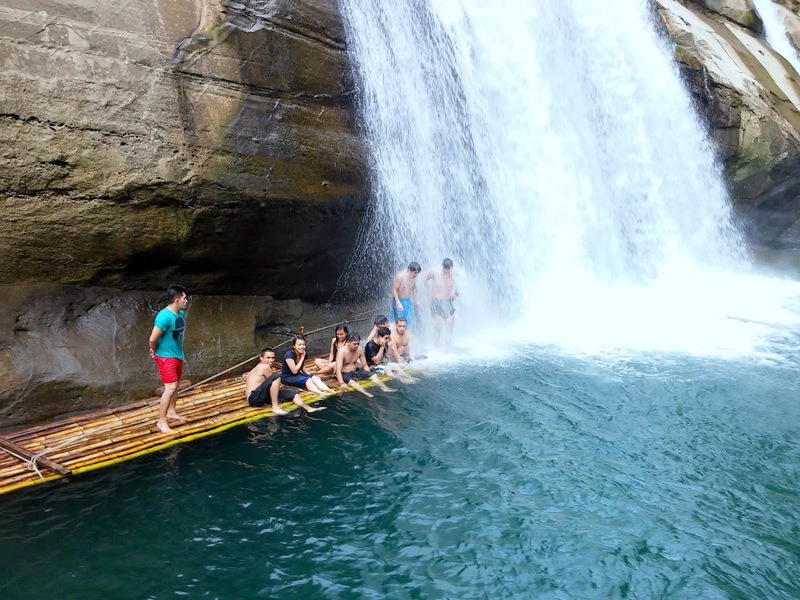 Located near San Juan, La Union, the venue for the yearly Surf Break (usually 3rd week of October), Tangadan Falls has now been added as another stop for the brave and courageous few. As for us (a.k.a Party Pipz, a group formed during our college years), was only headed towards a chill road trip to Halo Halo de Iloko in San Fernando. We were choosing between Tangadan Falls which is far up north from SFO or Tuddingan Falls in Naguilan which is on the way back to our home, Baguio City. We choose the former, "kasi ayaw nila pabalik balik"
Laoag, Vigan, Candon, Abra . San Fernando or San Juan. From San Juan, you can hail jeepney via San Fernando-San Gabriel route. Hire a tricycle to bring you to Duplas which passes through Barangay Bucao. If you are new to this kind of adventure, hire a guide. The trail going to the falls is quite tricky. It requires you to cross the river 3 or 4 times (I lost count :P). rule 1: GET Ready to Be WET! 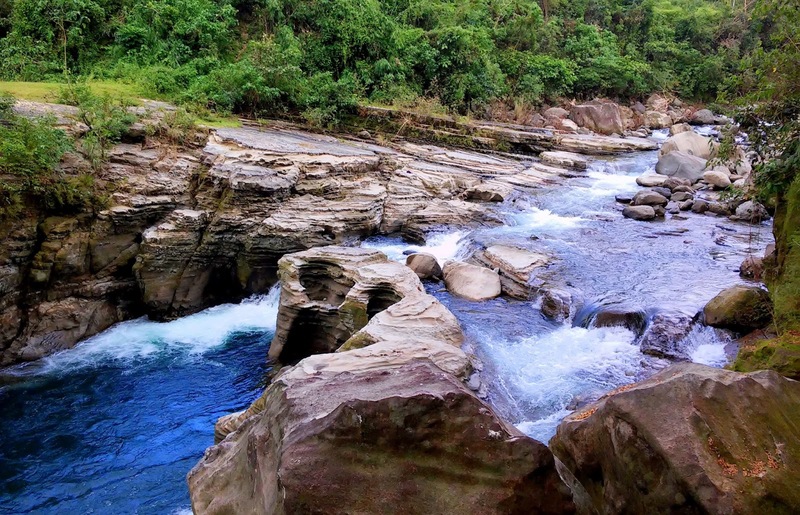 Tangadan Falls is part of the Baroro River which stretches across the La Union Province. Part of the trek is crossing the Baroro River along its river banks. Depending on the season, the water may rise up above your waist. 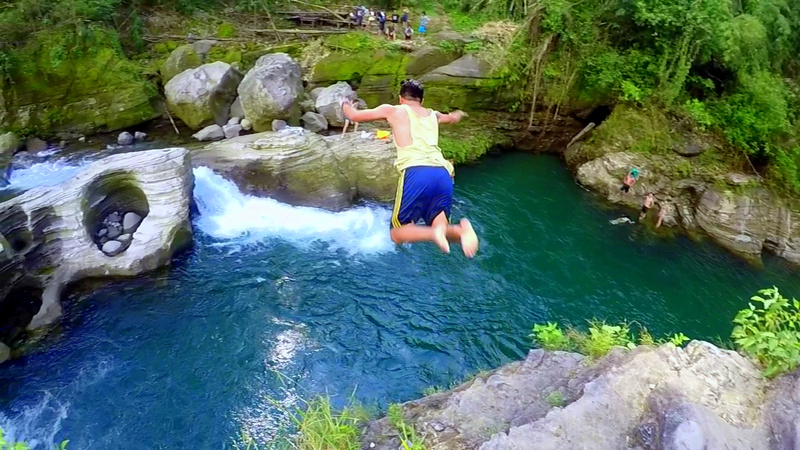 rule 2: Cliff Dive/Jump if you really know how to swim! 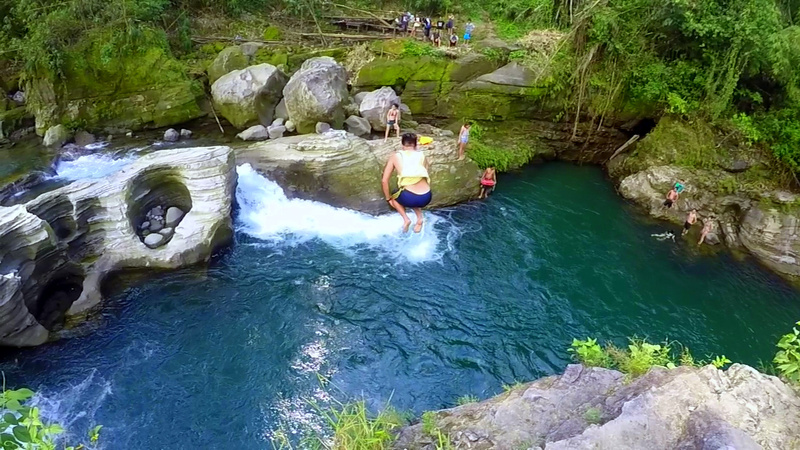 There are spots there perfect for cliff diving along the Baroro River. The river may be 20 to 30 feet deep so be careful and during the rainy season, the river current is strong. Don't get distraught thou, just float and follow the current until you reach somewhere near the river banks. rule 3: Ready for a long trek ahead! 1 hour at least of trekking the rocky and wet trail of Tangadan Falls. Bring atleast 1 liter of water and some sun block if you don't intend to get burn by the sun. 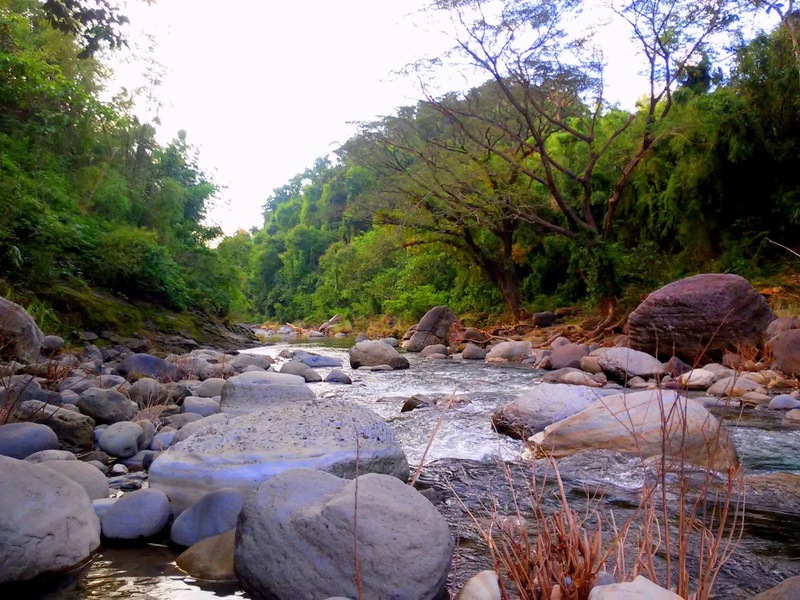 Even though its a long trek, you will hardly notice it because of the spectacular scenery aroung the river. Towering trees coupled with huge boulders of rock are scattered the Baroro River. Not to mention crossing rice fields and some plantation fields for crops are added bonus for nature viewing. I must say this, chasing waterfalls experience is best be done during which the flow of water is strong. This is true for Hulugan, Buruwisan, and now Tangadan Falls. 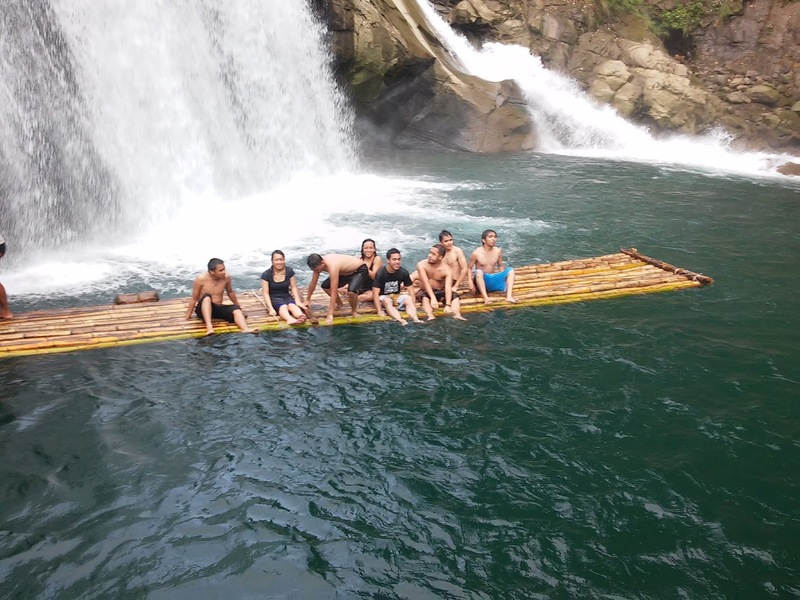 If you want free and all natural massage from nature, hire the bamboo raft costing to 20 pesos per person! Truly a must! You can call him for a must smoother experience as he has been tour guiding for more than 5 years now. He knows what he's saying. Like he warned and prohibited us to cliff jump the Tangadan Falls. ALWAYS follow the locals' advice. Wag Bida Bida! He will instead suggest alternative cliff diving/jumping site for your cravings to be satisfied. Man, thanks for this guide. Been planning to go there since December. Anyway, I have a concern regarding Mang Pedro the guide, he referred us to another guide, the other guide told us that whenever Mang Pedro refers the clients he gets through your blog Mang pedro gets 50% of everything. I was so sad when i heard that, kawawa naman di ba? because we were only two persons and we only agreed to pay 600 pesos prior. 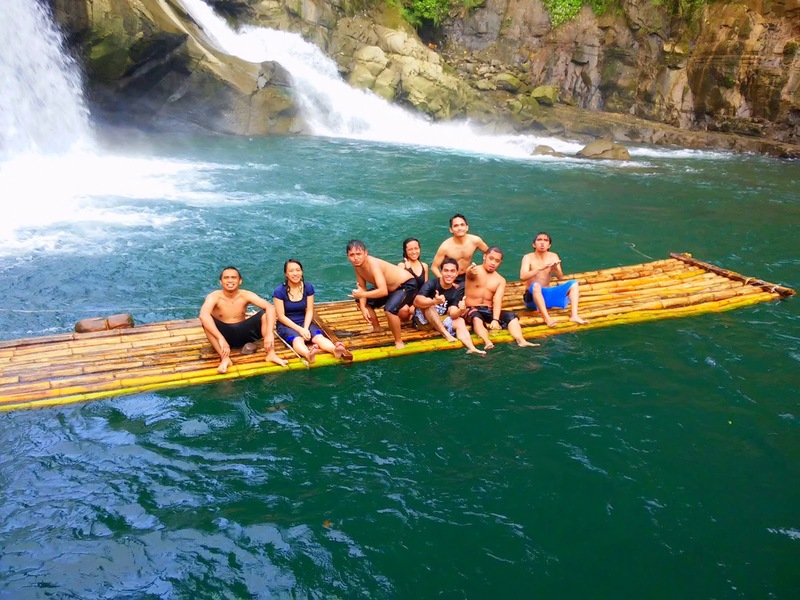 it meant that Pedro gets 300 and Kuya Dan our guide gets 300 only - after he literally saved our lives. During our trek back, heavy rain poured, rocks were falling from the mountains, there was a thunderstorm, the river rose and the current surged. we thought it was the end of our lives. people were rushing back hurriedly. at 3:30pm sobrang dilim na. please? i owe my life to this one (he saved me sa river while he was having muscle cramps and water was above waist at very very strong surge of current. Thanks Dan (magkapangalan pala kayo)! I need to educate the readers siguro din plus si kuya Pedro not to be unfair. Sige I'll add si Kuya Dan sa list ng recommended guides. We are planning to visit Tangadan Falls next month, we are a motorcycle riders group. Just want to ask, is there a safe place or parking space for our motorcycles? hi Dan, We plan to go the falls in Dec, is this safe month? Can you get back and how much do you charge per head? hi, makaktawid ba kahit hindi mag cliff dive? Hello. Pwede po overnight stay within the area like a camping site? Or if ever meron po ba matutulugan na place na malapit?